Satellites: Large and Small – Questionnaire for GISCafe Special Coverage! This questionnaire is aimed toward those who do research and development on traditional artificial satellites and “smallsats,” as well as those customers of satellites, and companies providing third party solutions for them. Since companies of larger satellites produce small satellites as well, larger satellites, their features and their pros and cons are included in this questionnaire. Small Satellite Questionnaire for GISCafe Voice: February Special Coverage! This questionnaire is aimed at those who do research and development on “smallsats,” as well as those customers of small sats, and companies providing third party solutions for them. 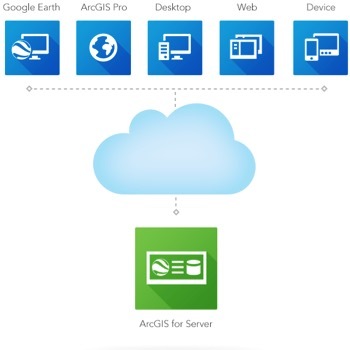 What has been an un-announcement in the geospatial industry is the fact that Google Maps Engine and Google Earth Enterprise are to be discontinued by Google. It’s possible that Google didn’t send out a press release about this because their customers, who are mainly consumers, may mistake the message to mean that Google Maps and Google Earth will be discontinued by Google, which is absolutely not the case. Today DigitalGlobe of Longmont, Colorado, announced the successful launch of WorldView-3, the company’s sixth and highly advanced high-resolution, super-spectral commercial satellite. 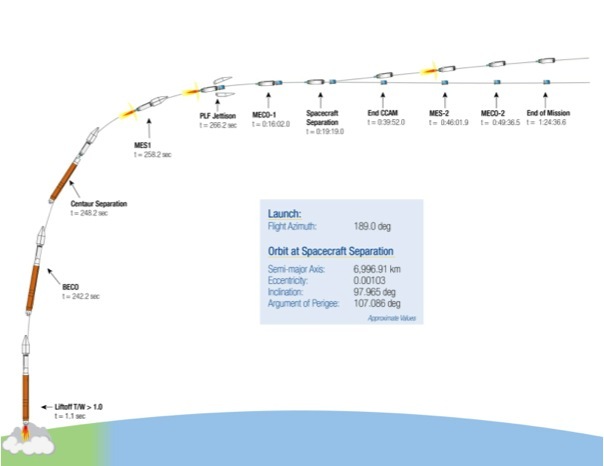 From Vandenberg Air Force Base in California, the satellite launched on a Lockheed Martin Atlas V rocket at 11:10 PDT. RapidEye announced that its imagery is being used by the MALAREO project help with malaria control programs in countries in southern Africa. Basically, the satellite is mapping the habitats of mosquitoes, which are generally considered malaria risk area. Funded by the European Commission under FP7, the MALAREO project is a mixed European-African consortium that embodies many years of malaria control expertise with the Global Monitoring for Environment and Security (GMES) EO Capacity. The MALAREO study area in South Africa, Swaziland and Mozambique is approximately 25,000 square kilometers that RapidEye data provided via the EC/ESA GMES Space Component Data Access (GSC-DA). Over five different days between July 18 and November 10, 2011, the data was gathered with total cloud cover of less than one percent. RSS – Remote Sensing Solutions GmbH, partner in the project consortium, is responsible for data processing and the development of Earth Observation (EO) products. 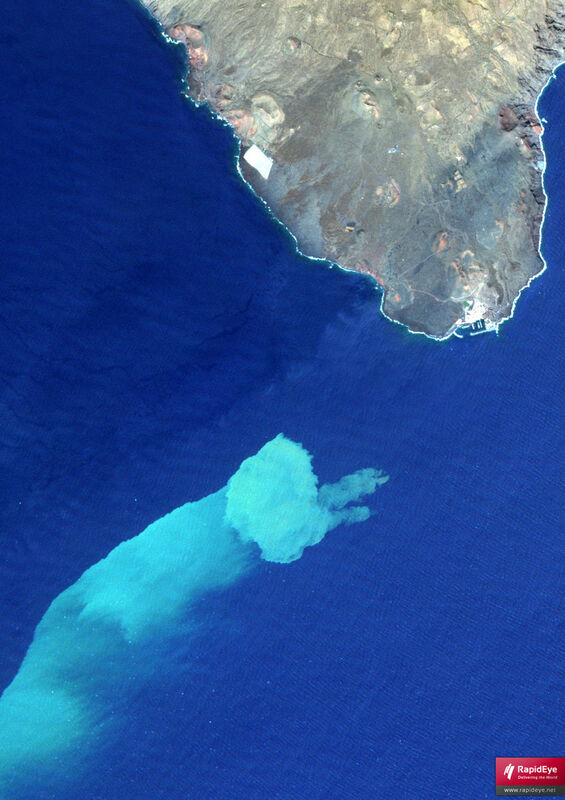 From October 13 and October 23 RapidEye took true color, high-resolution RapidEye satellite images featuring a gigantic stain visible on the surface of Las Calmas Sea resulting from a submarine eruption out of the coast of El Hierro, Spain. The eruption occurred at 1200 meter below sea level at 10.43 local time (09:43 UTC) on October 10, 2011.